When it comes to boot designs, Puma are up there with the best. Last year saw them bring us the Kanji v1.10, PowerCat Elektro and PowerCat Tokyo. 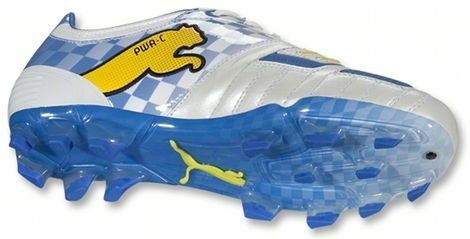 So for their first big designs of 2012, Puma look a little closer to home for inspiration on the Munich PowerCat 1.12 & Munich Puma v1.11! Styled in the traditional colours and pattern of the Bavarian flag, Puma’s two most forward-thinking boots are re-designed as a love-letter to one of the most iconic states of Germany. 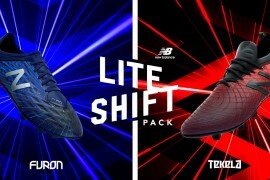 With the Allianz Arena in Munich playing host to the biggest game in European club football, Puma have put together this special pair of designs to emblazon across their most popular boots to mark the occasion. The ‘lozenge’ pattern is taken almost-identically from the State flag (and, you may have noticed, is used on the centre of the Bayern Munich crest), whilst the Black and Yellow Puma branding comes from the colours traditionally associated with the city of Munich. And what a combination they make! 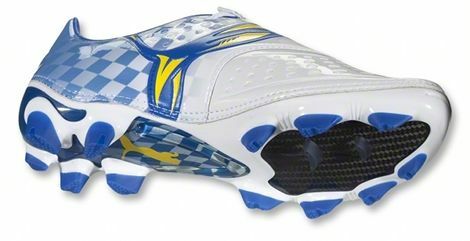 Somewhat reminiscent of the Elektro PowerCat 1.10’s from last season, the White / Blue / Yellow / Black are masterfully brought together by Puma’s design team. Puma also stand a chance of having some players represent them on the 19th of May, too. Cesc Fabregas could don the Munich PowerCat 1.12 if his Barcelona side can overcome Chelsea tonight, whilst red-hot Mario Gomez could bring the Munich Puma v1.11 ‘home’ to the Allianz for Bayern Munich. Packed with technology, the PowerCat 1.12 have leapt to the top of the pack in the Power category. Since roping in the likes of Cesc Fabregas and Nigel de Jong to their cause, the new PowerCats have proven their worth as a truly top-class pair of football boots, and it would really cap of Puma’s year to see the Munich PowerCat 1.12 on the pitch on May 19th. However, the Munich Puma v1.11 could well be the swan-song for Puma’s speed line, as rumours have begun to swirl around a possible new release in time for Euro 2012. 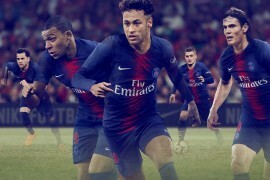 What do you think of the designs? Let us know with a comment! Previous articleALLIANZ ARENA – READY FOR THE FINAL! sooooooo, how exactly do we purchase? i really want and need?